While the traditions of Multi-Purpose Vehicles (MPVs) have been muddied by SUV developments, highlights a mildly discombobulated Iain Robertson, the latest Combo Life suggests that ultimate practicality needs not fall foul of design ethics. We have inherited innumerable Americanisms over the years, not least in relation to the motorised options available to us. While ‘fenders’ remains an occasional aberration, MPVs and SUVs proliferate. While Americans also refer to most MPVs as ‘vans’, the ‘sport-ute’ has especial relevance in the Antipodes. 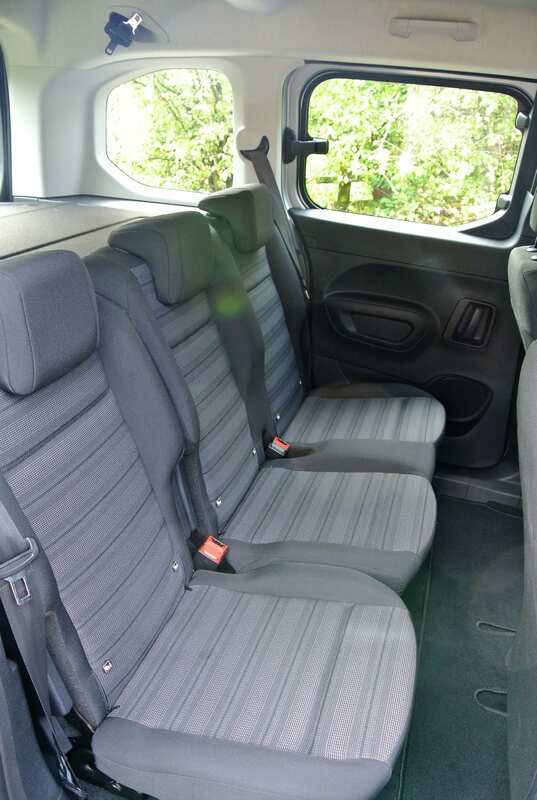 Of course, vans-with-seats, while not exactly complying with the terms outlined by ‘people-carrier’ designations, are not exactly novel, they have become increasingly car-like. The problem is, the role of the MPV has been diluted by seven-seat SUVs and (sighs) everyone seemingly wants an SUV! 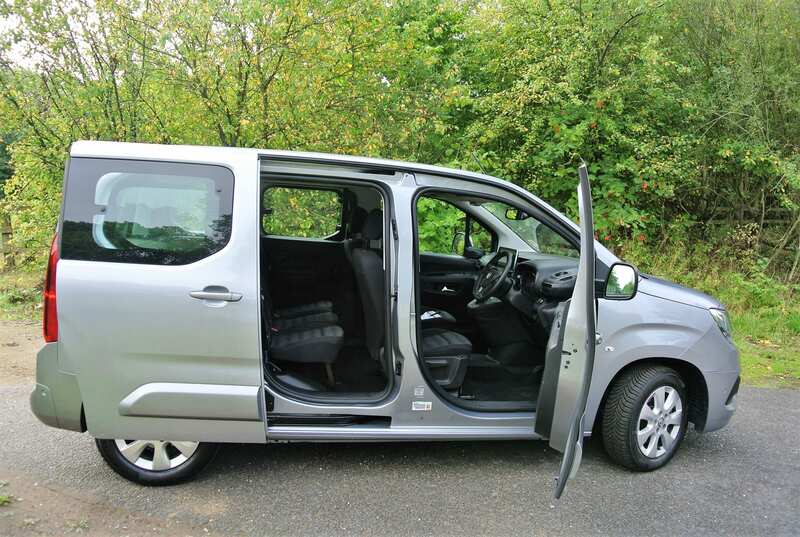 When French carmaker Citroen first unveiled its van-derived-car Berlingo, in the UK, in 1996, it invented virtually a new genre of motorised transport; the LAV. Well, toilet humour apart, a Leisure Activity Vehicle, which polarised critics’ opinions but received a hearty ‘thumbs-up’ from a flushed Crufts fraternity, hit the road running and has been aped by other European van-makers since. The concept of a weekday working van that can transform at weekends into family transport for reaching the beach, meeting at the pub, or visiting the church on Sunday morning, is anything but novel on mainland Europe. Thousands of European and South American artisans have always bookended their working weeks with Piaggio Apes, Citroen C15s and Fiat Doblos doubling as leisure vehicles. It is well-established motoring culture. When the second generation arrived in 2008, PSA Group determined that the same platform used on the Peugeot 308 and Citroen C4 cars, styled by Gilles Vidal, while making the core vehicle both larger and more expensive, would also enhance its proposition as a people-carrier. In the meantime, by 2011, Vauxhall (and Opel) had badge-engineered the Fiat Doblo for its compact van aspirations in the Combo D line-up. Since PSA Group bought Vauxhall-Opel from General Motors a little over a year ago, it was inevitable that the latest Combo E would arrive in PSA-based form in late-2018. With the demise of the Zafira MPV, Vauxhall has taken the bold step of up-marketing the windowed versions of its light commercial. As the EMP2 platform is central to the Group’s compact car programmes, the greater flexibility and technology inherent to them is a virtual gift to the light van sector. However, as touched on earlier, final costs escalate accordingly. Priced at a whopping £22,660, before any dealer or fleet discounts are applied, or £25,255 in test car guise, with optional extras like spare wheel, induction pad charging (for mobiles), sat-nav, head-up display, parking, winter and all-weather packs factored in, Combo Life borders on eye-watering. Yet, it is a far from lifeless and character-free zone that might be preferred by the members of the plumbing, electrical and woodworking communities. The Combo Life is a proper, space-efficient people-mover that just happens to look like a van. 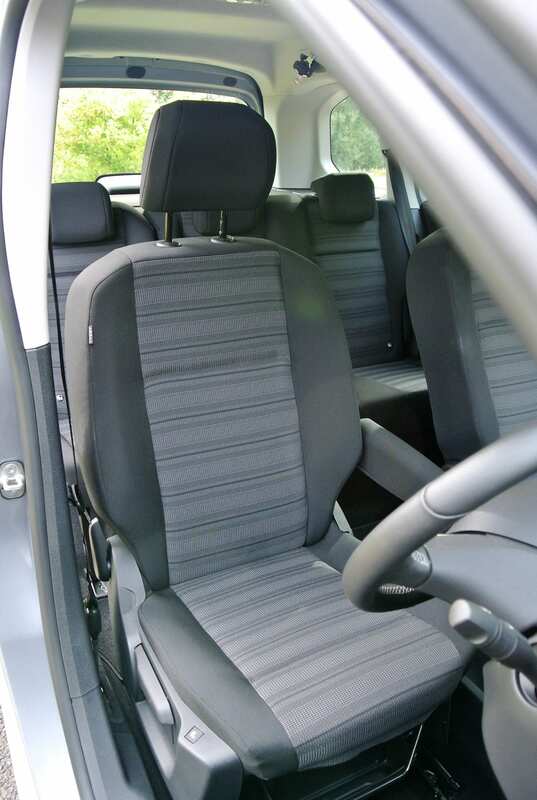 While its interior does suffer from a grey-heavy lack of soft-touch surfaces, the sheer practicality of wipe-clean does carry family and business car benefits beyond practical bounds. For what it is worth, I ran a previous version Peugeot Partner Tepee Outdoor (to provide its full name) for 12 months on a long-term test basis and my initial preconceptions soon dissolved into total appreciation for its outstanding qualities, not the least of which was first-rate drivability. The latest Combo is actually a handsome estate car. It suits its contours and proves to be so easy to enter and alight from that an initial desire to don the boiler-suit disappears rapidly. The utilitarian plastics used on the doors and dashboard are neatly styled and provide myriad storage slots both above and below the normal sight-lines. They are all well-considered and eminently useful, so much so that you miss them on more regular family models. However, it is not the deep and accommodating door pockets, or the various slots, trays and cavities that will engage with the typical private, or even business buyer. 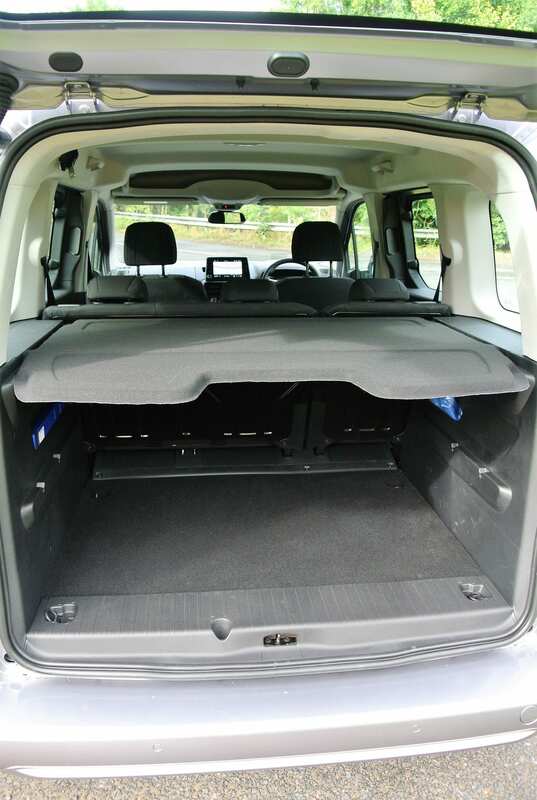 Crack open the hatchback rear door and, even in this five-door, five-seat (two side-sliding doors), short wheelbase variant, a whopping 597-litres of boot space (up to the glassline) makes domestic duties, such as carrying push-chairs and child essentials, an absolute doddle. Consider how many samples, hobbyist collections and work-related items can be stashed in that boot. Fold forwards those back seats and there is almost 3,000-litres of total cargo space, which makes Combo Life perfect for the next international expedition, or show. Antique shop owners and estate agents ought to start a queue now. 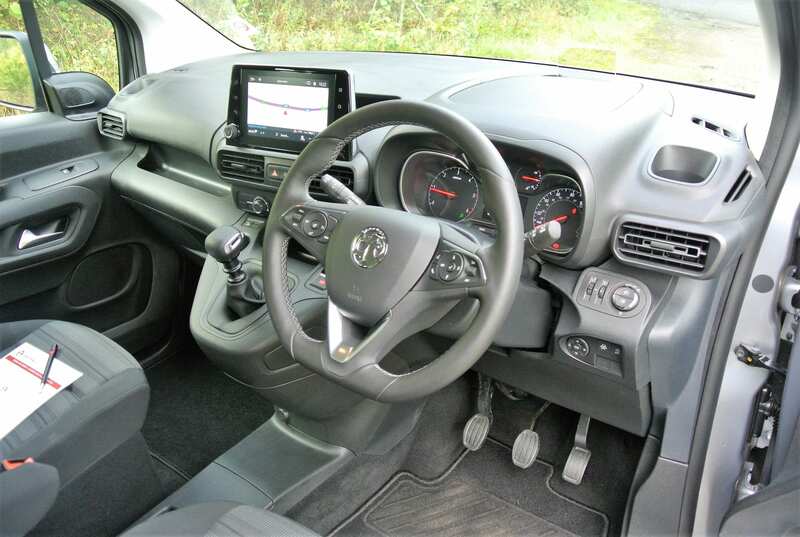 The 8.0-inch full-colour touch-screen, air-con and connectivity options are pure standard fayre in most family cars but they are accompanied by a full range of driver’s seat and steering column adjustability to ensure that creature comforts are of prime consideration. The auto-on wipers and lights, parking sensors and electric door mirrors aid the upmarket impression. Supported by a plethora of electronic driver and safety aids, it seems that no stone has been unturned to ensure the maximum occupant comfort and convenience. Powered by PSA Group’s latest 1.5-litre turbo-diesel engine that develops a decent 127bhp but a truly impressive 221lbs ft of torque, it is aerodynamically efficient enough to cleave through still air and despatch the 0-60mph benchmark in a modest 10.3s, before topping-out at 115mph (there are petrol options). Emitting a mere 115g/km CO2, under the latest WTLP regime, equates to a first year’s road tax of £205, with subsequent £140 annual demands. However, a posted return of 65.7mpg suggests that Combo Life will not eat you out of house and home. A lowly 12E insurance rating also helps the budget conscious. Riding on 16-inch alloy wheels, clad in grippy low-profile tyres, there are no van-like traits in Combo’s excellent blend of ride, roadholding and general handling capabilities. Thanks to a moderately long wheelbase (although an even longer wheelbase option can satisfy seating for up-to-seven requirements…more water-muddying), the Combo rides out road surface imperfections with a traditional Gallic flair. Yet, with body roll under careful control allied to precise steering, it can be immense fun to pedal the Combo along twisting back-doubles and, despite its slabby flanks, there are enough interesting bodywork indentations to break-up the airflow and make its straight-line stability equally effective. 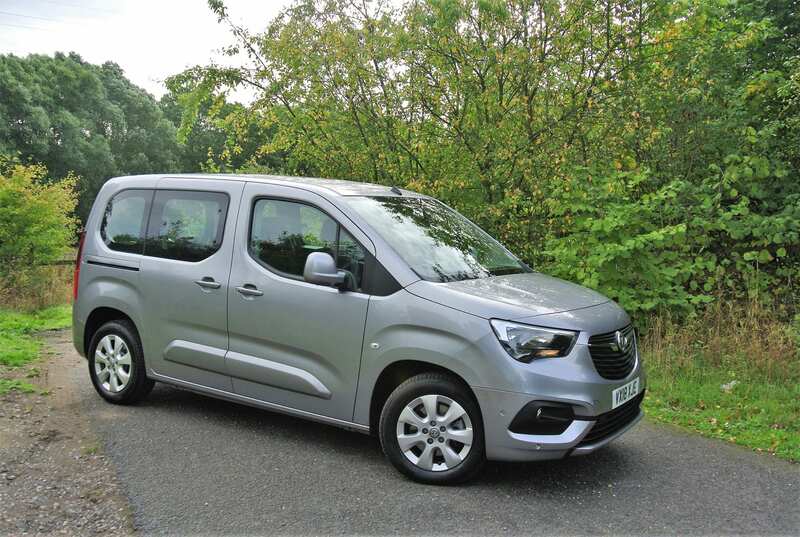 Built in Spain to very high standards, the Vauxhall Combo Life benefits from start:stop technology and Adblue injection for the diesel engine. Get past the elements of styling that appeal to the light van community and you arrive at a genuine multi-purpose, let alone multi-people carrying vehicle that I can assure you will exceed your wildest transport expectations. 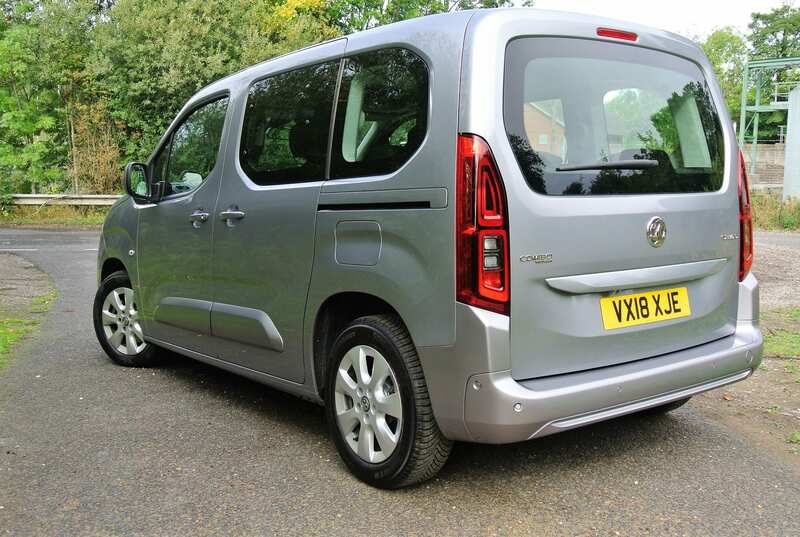 Naturally, it offers an immense number of benefits to all manner of driver and customer types but, as an MPV, it is a top scorer. Conclusion: Initial preconceptions about the Combo Life soon turn to a complete appreciation of its practical qualities and its smart Vauxhall detailing ensures that it will not look out of place, wherever it is driven, or parked. Mind you, you will still need to justify its steep price tag.